If you need a OpenText files stored on optical mo disk service, then contact our friendly company. An Optical Disk used by OpenText to store scanned documents and files. 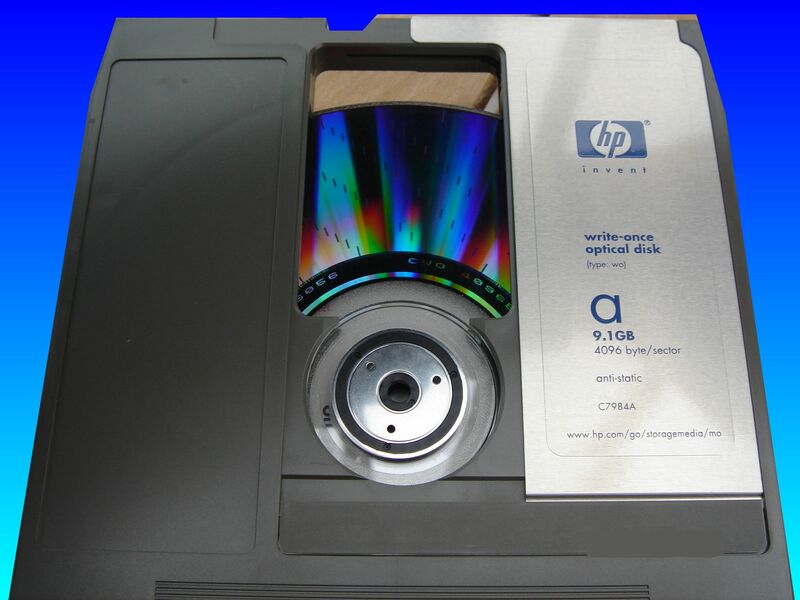 The protective shutter is open revealing the rainbow effect from the disk's laser writing areas.